Gerber has a great camp kitchen knife kit that makes a) finding and b) using cutlery at the campsite much easier. The kit includes two knives, the Freescape Camp Kitchen Knife and the Freescape Paring Knife. 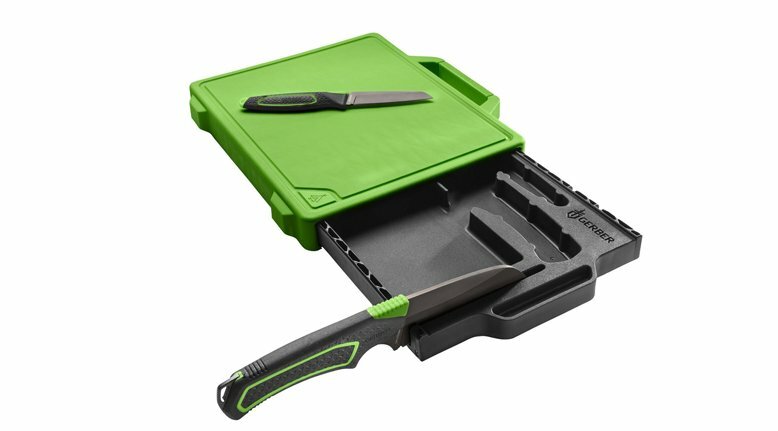 In addition to the knives, the kit is housed in a carrier that doubles as a cutting board, has a built in knife sharpener, an has drawers to keep the knives in place with magnets.